Help : The Organization Tab is used to define an Organization. 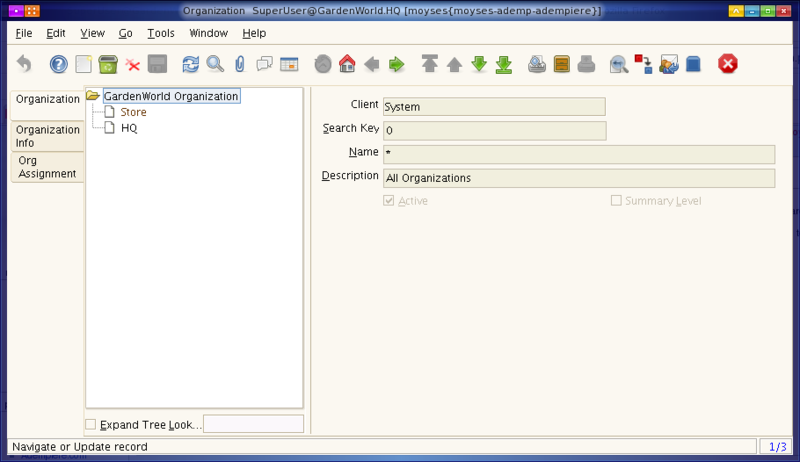 Each Organization has a Key and Name and optionally a Description. 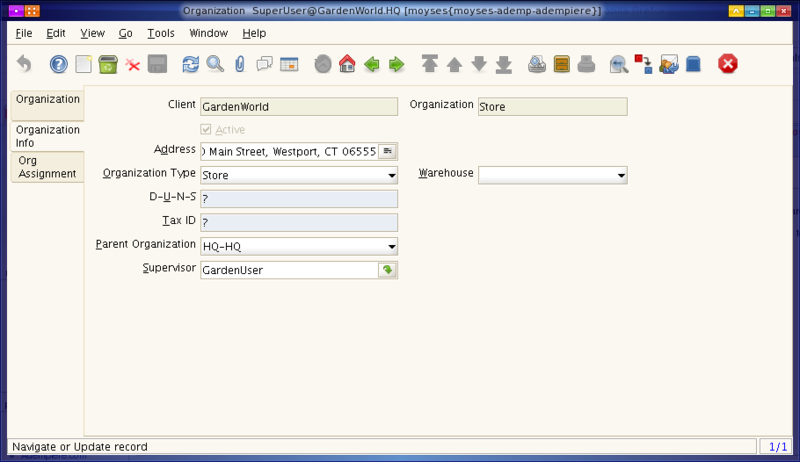 When adding a new organization, you must re-login to be able to access the new organization. Parent Organization is just used in workflow approval to obtain the supervisor of the parent organization, when supervisor for the current organization is empty. This page was last modified on 6 October 2009, at 16:33.